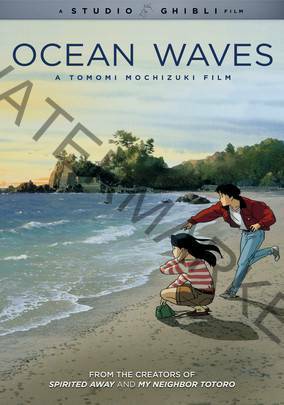 Ocean Waves is one of the most poignant and unsung masterpieces within Studio Ghibli’s legendary creative output. Wonderfully detailed and incredibly subtle, there are very few films in the history of animation that have managed to capture so well the joys and drama of adolescence and teenage alienation. Kochi is your average coastal town on the sleepy, idyllic island of Shikoku and young Taku is definitely your average high school student. But soon his quiet life will be turned upside down with the arrival of Rikako: a beautiful, female student recently transferred from Tokyo. By the end of term Taku will have learnt a valuable lesson in love and friendship.